UK based online grocery retailer Ocado is trying to ride the Whole Foods-Amazon wave. The company may, finally, after years, deliver on those mystical international cooperations and licensing deals for its technology. Snark aside, Ocado is indeed the best candidate to talk to for US grocery chains frightened by the Whole Foods deal. 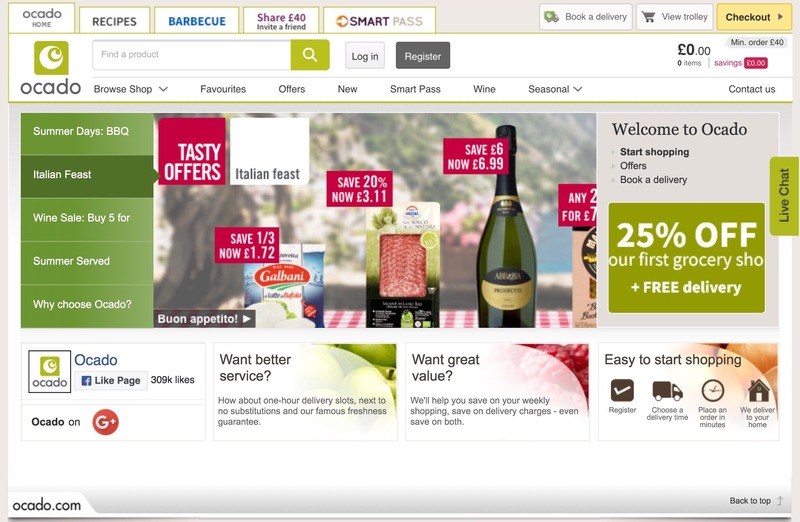 Ocado has the technology ready and is willing (desparate even, by now) to find companies to work with. Ocado is holding conversations with a number of U.S. grocers, he said. Ocado’s so-called smart platform encompasses everything from robots that pick groceries to software that routes delivery vans. The Hatfield, England-based company generates minimal profit from its own retail business and securing licensing deals is crucial to justify years of investment and secure more profitable growth. Amazon’s takeover of Whole Foods has brought renewed focus on online grocery shopping in Britain, where it accounts for 7.6 percent of total grocery sales and is growing by over 10 percent a year, according to researchers Kantar Worldpanel. Ocado has a UK grocery market share of 1.3 percent. 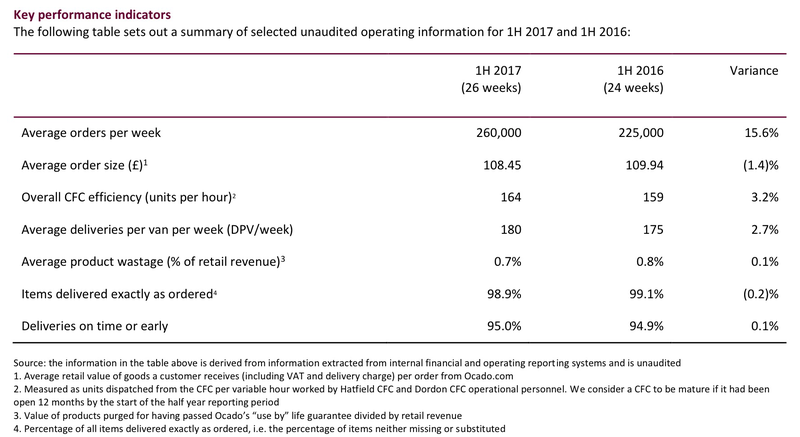 Ocado, which sells products supplied by upmarket grocer Waitrose and also has its own distribution agreement with Morrisons, made earnings before interest, tax, depreciation and amortization (EBITDA) of 45.2 million pounds ($58.3 million) in the 26 weeks to May 28. That was ahead of analysts’ average forecast of 44.8 million pounds. Ocado, like many big companies, knows that autonomous systems will disrupt its business—but the tech is moving so quickly that it’s almost impossible to know exactly how or when that disruption will occur, which is pretty scary if your business is based on producing or moving stuff around efficiently.